Shannon Hale, you’ve just won an Artys award for The Actor and the Housewife! Now, what do you do for an encore? Maybe return to the celebrated youngadult Bayern series that launched your career. 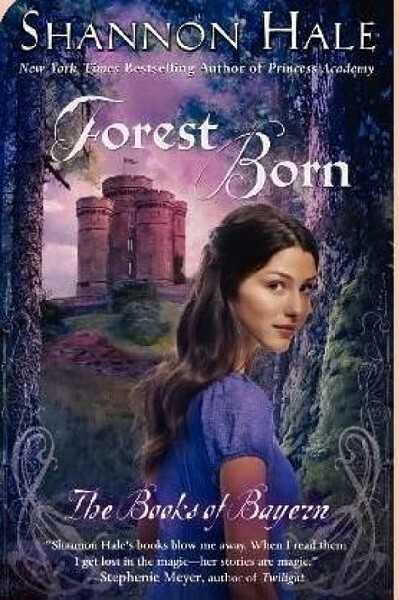 Yes, the prolific Hale is back in Bayern for Forest Born, the fourth novel in the series and the first since River Secrets three years ago. She tells the story of Rin—sister of River Secrets’ hero Razo—as she struggles to understand why she feels so ill at ease in the forest land that has always been her home. When war once again comes to the land, Rin joins the queen and the magical Fire Sisters on a journey toward the land of Kel. With her typical charm and flair, the Newbery Honor-winning Hale spins another tale of self-discovery. Join her as she introduces the new work to the world this week.